Warning! Your jokes can destroy your kid’s childhood! 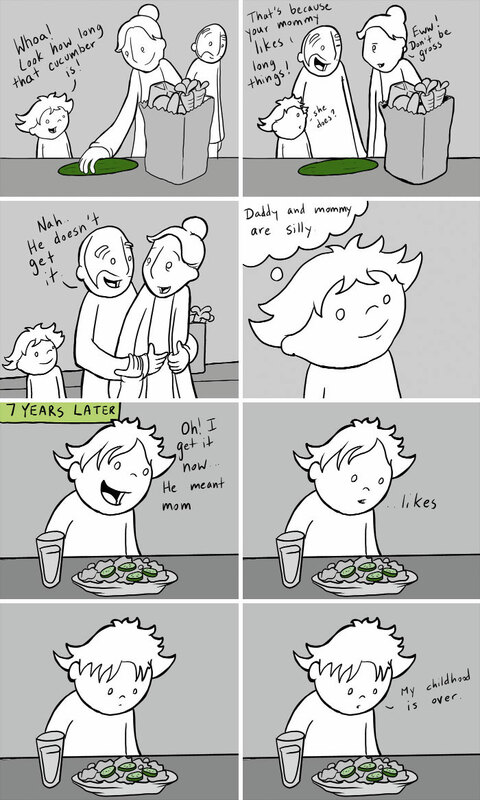 Rule #1 for parents, be careful what you say in front of your kids. What they don’t understand they remember, especially when they are eating cucumber. When dad takes care of his responsibilities! 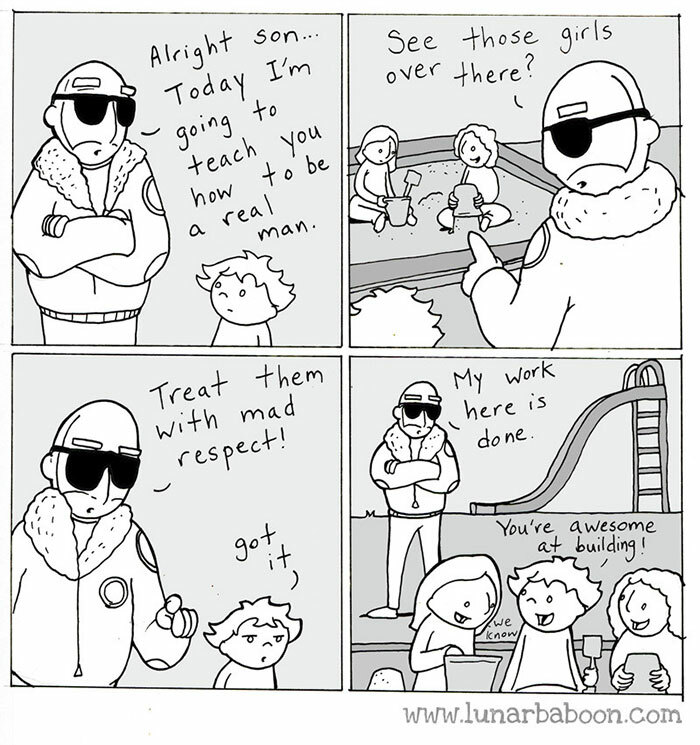 If only more dads taught this lesson every kid would be cool by now! It’s a dad-son thing, moms would never understand!